Please complete the fields below in order to receive your complimentary issue of the latest Our Wedding magazine. 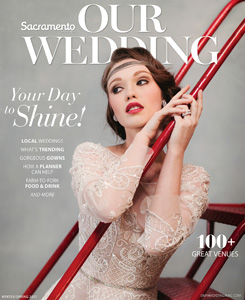 Please note this offer is only available to brides residing within the 6-county Sacramento region. Please be advised that we will add you to our list of vendors and to our email list for newsletters. Please enter your contact information and you’ll receive the latest issue of Our Wedding magazine.